Jenner Ag relies on AgriSync to maintain high standards in service while they grow across state lines. When a company or dealership expands to cover larger territories, they may have concerns about how they will continue delivering quality service to existing customers. As support teams are responsible for larger and larger territories, agricultural technology is advancing to help the support team manage their time and efficiently reach their customers while keeping customers satisfied. Jenner Ag, a leading provider of application equipment and precision technology, has served the agriculture industries in Illinois for nearly 55 years and recently expanded to include the state of Indiana. Bret Hine, Field Service Technician at Jenner Ag, notes the importance placed on maintaining an efficient, high level of customer service while expanding the dealership. Scale the expertise of your service team. Bret and his team at Jenner Ag use AgriSync to continue serving customers across state lines and "communicate back and forth directly to customers." Jenner Ag is committed “to get the right person that knows the right answer to [the customer’s] specific question,” says Bret. With AgriSync, Jenner Ag is better able to answer the question: "What exactly is my customer seeing when they have an issue?" See exactly what farmer customers see with live video. Solve issues quicker, don't keep farmer customers waiting. No farmer wants to sit in a field with warning sings flashing while they wait for a precision specialist to arrive. Instead, non-toolbox issues can be fixed within minutes with a simple video call. Dealerships using AgriSync are only as far away as their customer's smartphone. So when the time comes to expand your company or dealership, do so confidently with AgriSync in the palm of your hand. Work more efficiently with AgriSync. 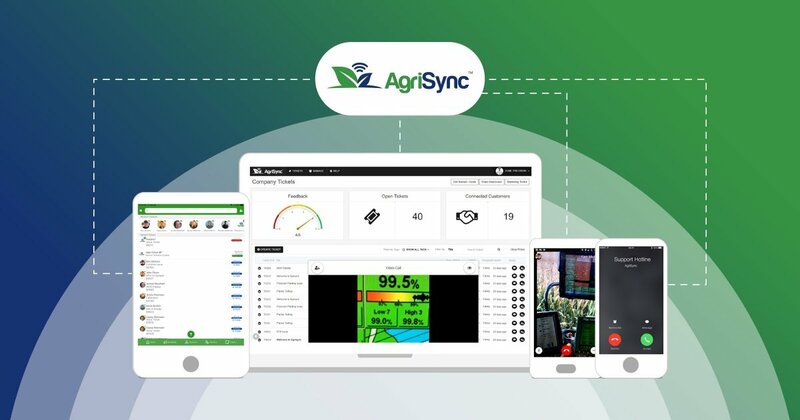 Get started with your free trial of AgriSync to see why agriculture experts rely on AgriSync to better manage their time and spend more time solving issues instead of driving from farm to farm only to push a single button.